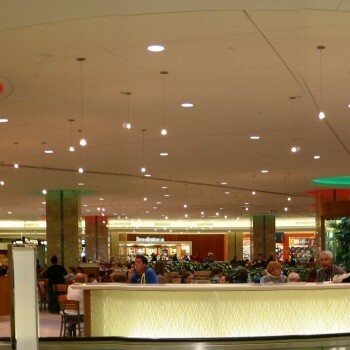 Candela Controls, Inc. provided the systems programming and installation of the LED lighting fixtures located in the food court at Orlando International Airport. 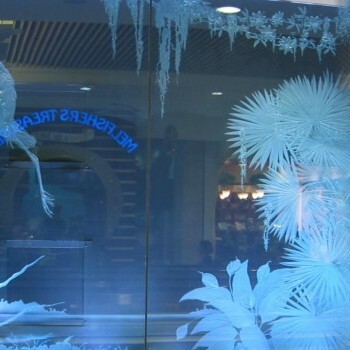 The color changing effects in the food court area are provided using LED lighting fixtures as manufactured by Color Kinetics, Inc. of Boston, MA. The inherent long life of LED, along with color mixing capability, should provide a dynamic environment for the area with minimal to no maintenance. There are two types of fixtures being used in this area. The first, the iCove, is a linear fixture that provides all the lighting at the column tops. The second fixture is a ColorBlast 12, and is a wash fixture that provides the lighting effect for the Oculus.